The group departed Yarmouth, Isle of Wight on April 8. Seven hundred men, women, and children were distributed among the ships of the fleet. The voyage itself was rather uneventful, the direction and speed of the wind being the main topic in Winthrop's Journal, as it affected how much progress was made each day. There were a few days of severe weather, and every day was cold. The children were cold and bored, and there is a description of a game played with a rope that helped with both problems. Many were sick during the voyage, but nearly all survived it. The group landed at Salem, Massachusetts on June 12 after nine weeks at sea. The passengers took up residence in Salem, Boston, and the nearby area. During his voyage aboard the Arbella, Winthrop wrote his famous sermon, "A Model of Christian Charity," containing the often quoted phrase, "City upon a Hill." This phrase is used to this day to symbolize certain essential characteristics of the American spirit. The Winthrop Fleet was a well planned and financed expedition that formed the nucleus of the Massachusetts Bay Colony. However they were not the first settlers of the area. There was an existing settlement at Salem, started in about 1626, populated by a few hundred Puritans, most of whom had arrived in 1629, and who were governed by John Endicott. 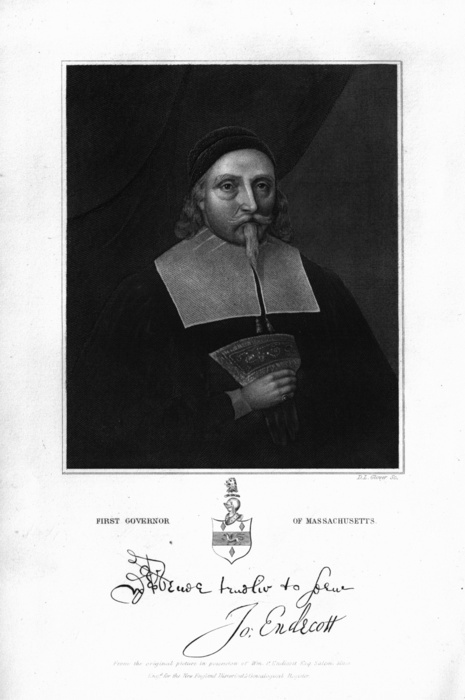 Winthrop superseded Endicott as Governor of the Colony upon his arrival in 1630. The flow of Puritans to New England continued for another ten years, during a period known as the Great Migration. 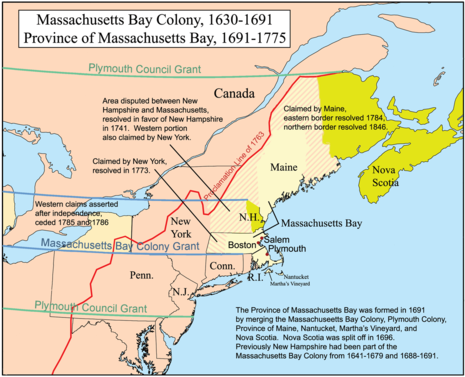 An important rite of passage for all Great Migration colonists, and one that further bound them together as a group, was the voyage to Massachusetts. The majority of emigrants lived within a few days travel of a port of departure. Ships left from several points along the English coast, including London, Bristol, Barnstaple, Weymouth, Plymouth, Southampton, Ipswich, Great Yarmouth, and Gravesend. 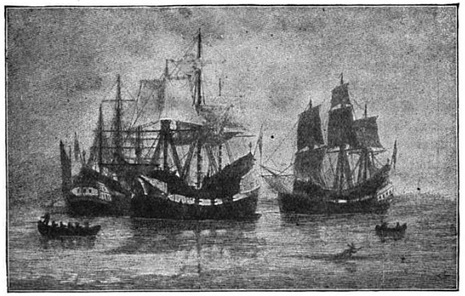 Most emigrant ships left England in March or April, allowing sufficient time for the journey and the ship’s return trip to England before cold weather began again. An average ocean crossing lasted from eight to ten weeks but the time of the voyage could vary greatly, from a trip of just thirty-eight days to one of six months.